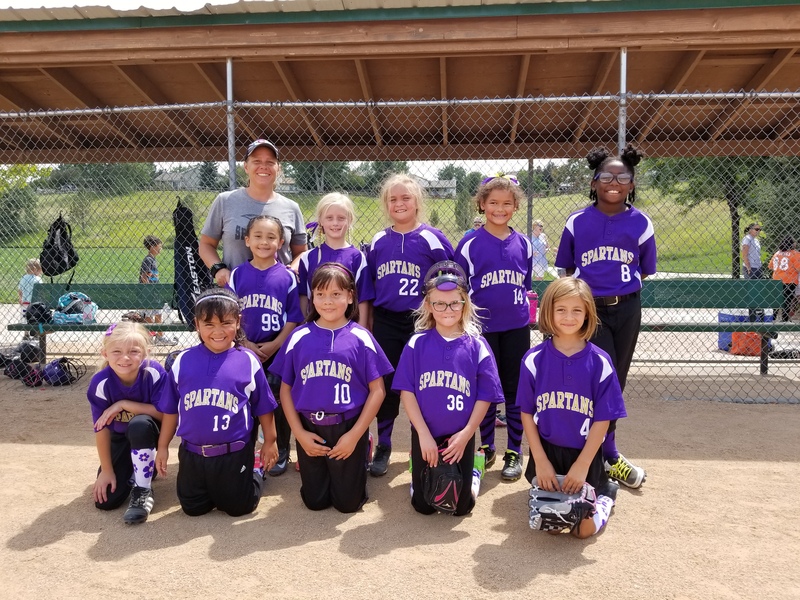 As we kick off the Spartans 2017 Fall Softball Season, we had two 8U Spartan teams battle it out on the field. Both teams had a very good grasp of the fundamentals of the game. Every athlete listened for direction and was very well coached! 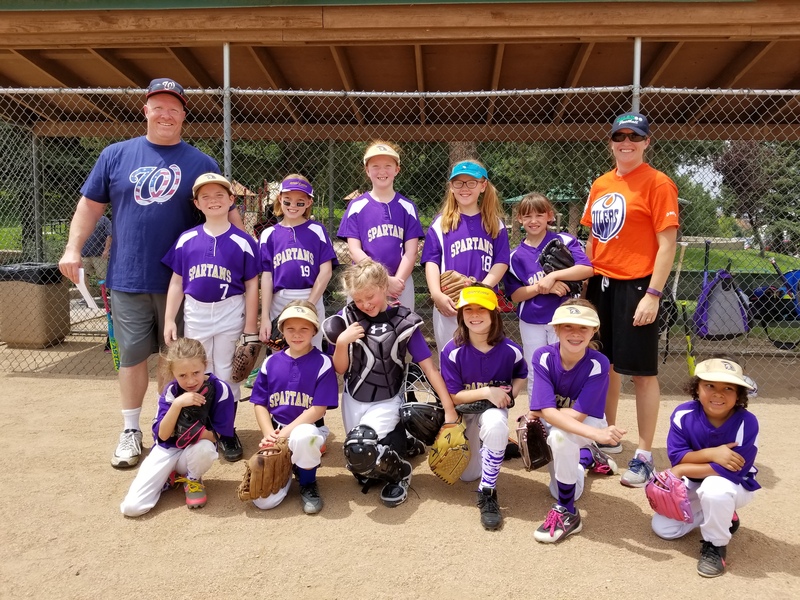 The spirit and enthusiasm that these athletes demonstrated was well beyond the 8U level of play. The Spartans athletes, the Coaching staff, and the fans continued to demonstrate the definition of "a class organization". Defensively: The athletes communicated very well on where the play was and the current situation. Equally as important the athletes backed each other up and did not throw the ball around. Although every athlete participated defensively, not every athlete directly contributed in making the outs. Specifically, Aunjolle Billingsley (8) made a great stop to prevent the runners from advancing. Kaitlin German (13) had a heads up play and fielded the force play at third. Nevaeh Waterman (14) did a fantastic job backing up several plays. Although she did not make the play, she was in the right place to support her teammates. Nice job! Gianna Williams (99) did an amazing job behind the plate. She showed great hustle and almost made a beautiful diving catch behind the plate. Offensively: These athletes can hit the ball. It is obvious that they invest a significant amount of time. This will serve them well in later years. Rilee Bergquist (27) had a herd hit double up the middle that went to the outfield. Brynn Godwin (36) had great base running and beat out a through from the pitcher. Adison Massey (4) and Alyssa Vallejos (22) both had hard hit singles to the left side to keeping the rally going. Reese Voight (11) had great at bats, her swing looks smooth and level. Tori Wyne (3) had a good hit and beat out the throw at first. Really proud of these young athletes, they all played hard and had fun. Defensively: Coach Stevens and his assistant coaches have done a great job teaching these athletes the fundamentals of the game. They were constantly moving to the ball and covering their position well. Isabelle Becker (13) and Alyse Stevens (17) illustrated great awareness as they collectively executed a double play. Together, they will be a force to reckon with. Rylee Buczkowski (18) had an amazing pop-fly catch at third base. Colleen Jensen (8) has a great heads-up play and got the runner out on a force. Offensively: These ladies can hit! Every athlete put the ball in play and in most cases hit the ball really hard. Corine Becker (16) had a hard hit double up the middle and a great slide at home. Alexandria Bergen (1) had a hard hit triple to score two of her three RBI’s for the day. Alexandria Jones (11) drove in an RBI and scored one for a very productive day. Caroline Kuzminski (7) had a hard hit single and beat out the throw. Emma Rice (14) also beat out a throw. Keep working on your speed kid! Cathleen Sullivan (19) placed the ball where the defense was not and was able to beat out the throw at first. Allison Watt (2) hard hit single to load the bases. Collectively, these ladies put up two 6 run innings. That is very impressive.